Why do I crave for sweet things during my period and how to handle? Girls, are you familiar with this thing? You don't have a sweet tooth, but you crave for it once in a month at least? 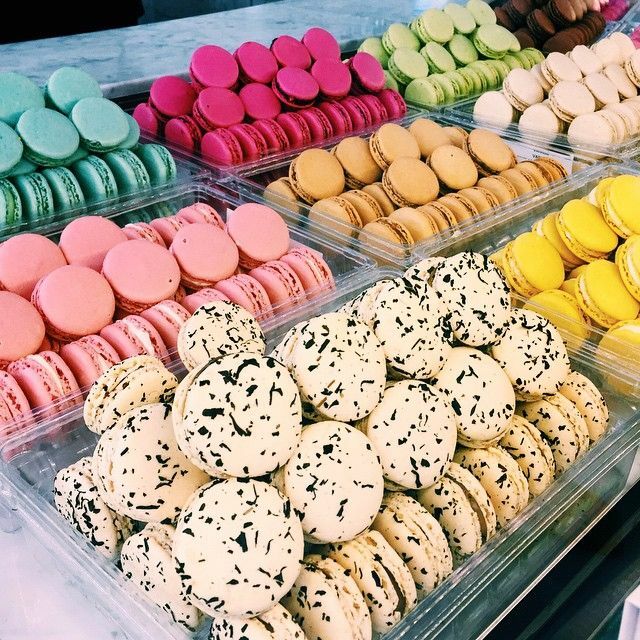 Macarons? Pavlova? Chocolates?. You are not alone baby girl! Here your online dietitian (haha) comes to enlighten your curiosity! First of all, I don't really like reading something educational, because I am lazy just like that!, but I have to do it.. for exam.. oh, and for my future, so lets change the attitude, shall we ladies? Remember your biology (or science) lesson back in secondary school? what are the imbalance hormones when you have your menstrual cycle? Yes you are! Progesterone and Estrogen are the imbalances hormones during your period. These hormones are low during your cycle causes you to have a pesky time (and some other hormones, to be discussed). Those who crave for sweet things are experiencing this sweet tooth when the hormones are at the lowest. Means during the perimenstrual phase. Culturally accepted, as a woman, we tend to overthink that, this sweet foods are high calories, high fat which fulfils the hedonistic desire and lead to weight increment (women's psycho), which is true honestly, thus, you restrict the intake! Hence, during the hormones (All hormones are involved - reproductive & steroid hormones) fluctuation, you suddenly crave for a sweet things. Some articles and research mentioned that there were no significant relations about the hormonal changes and the sweet tooth, as some women crave for sweet foods during premenstrual phase (when both of levels of estorgen and progesterone at their lowest - not when they are changing). They will stop craving just at the start of menses, still no, hormones change. When our body produces too much cortisol, it will signals the brain to stop releasing reproductive hormones (estrogen & progesterone) - to stimulate menstrual cycle. Hence, the body will be placed under constant or excessive stress. The confirm culprit is because of the steroid hormones called Corticosteroids. Familiar with this? during your menses, the pesky and annoying stress hormone cortiso spikes and the angel hormone serotonin level went down. The changes and the fluctuation of these hormones makes your body crave sugary and fatty foods. As these foods help to boost the level of serotonin and fight cortisol production, hence causes your stress, depression and anxiety level went down - you started feel happy and relax. Pitfalls? - weight increment. So, what you are going to do? 1) Processed foods - sausages etc etc, This food triggers you to crave for more, as it is somewhat imbalance in nutrient contains (lack & excess). 2) Caffeine - Increases the cortisol levels and causes you to be active and upping up your stress level. 3) Refined carbohydrate - Blood sugar spike, and yes, you crave for more. Try to incorporate and increase your protein & fiber intake, as these will help our hormones and blood sugar level stays relatively stable. Anyway, you still can take it, but try to consume it in a moderation and if you really can't handle your sweet tooth on chocs or whatever sweets, try to munch on dark-chocs and spread some almonds or nuts so you can savor the sweetness - you get a little protein to curb for the future craving and don't forget your fiber intake!!!. Lastly, did you know, high sugary foods can speed up your ageing process? which is not good for your skin. Key point: Take in moderation.